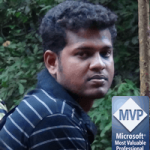 In this article, let us see how to create a Web Application in Azure Environment. 1. Login to https://portal.azure.com/ using your Azure Credential. 3. Select Web + Mobile and Select Web App on the other tab. 4. Enter the Details as below. 6. We will see a deployment succeed message. 7. Once, the message appears at the top right hand corner, the below overview screen will appear. 9. We can also create the Web Applications from this portal as well. On the Bottom, we can see the “New” Button. Hope this helps. And moreover, why we are seeing this in detail is, this will be very helpful, for the upcoming articles. i.e., Creating a Provider Hosted App and host them here.